Other Colleagues: Mahmoud Naderi, Amin Naderi, Alireza Mohamadi Rad and Amirhosein Behrouz. Shohada Square in Mashhad has been one of the main squares in the city, it’s been also a crowded junction due to its proximity to Imam Reza Holy Shrine( Ali-ibn-Musa-al-Reza is the 8th Shi’ite Imam whose mausoleum is located in Mashhad). 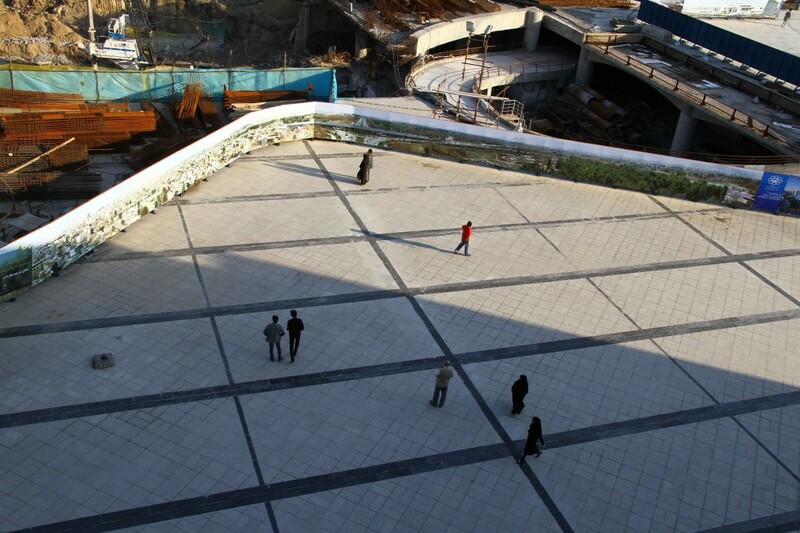 As the main building of Mashhad’s Municipality and City Hall located in this square a lot of construction projects has started in 2010. As a result, many construction workshops has been developed there and this led to an ugly and somehow dangerous pedestrian area. This fact really affected the locals and also the pilgrims. In order to make that place a little bit better the construction companies had covered the whole site with blue and white plastics, but this was not a good idea! 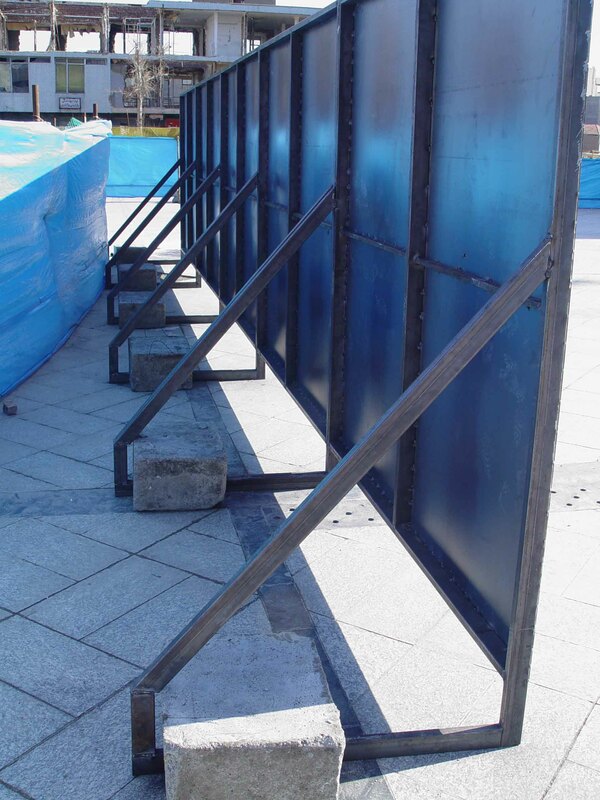 The disharmony which these plastic covers had made affected both the locals and the pilgrims, and it was like a scratch on the face of Mashhad! It was in the start of those days in 2010, when I, armYn Naderi, became obsessed with the thought of changing the face of this square. I’ve have always had this saying in my mind that “Architecture and urban landscape of a city make some parts of the people’s fates of that city.” I came up with the idea of changing that vast pedestrian place which has been surrounded by plastic blues covers to a public photography exhibition. 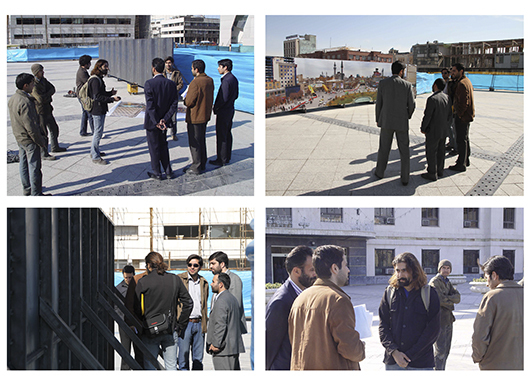 I discussed the issue with my brother, Amin Naderi, and then we consulted with Mr. Alireza Mohammadirad- who, in my mind, is one of the best and most creative architecture and construction engineers-. 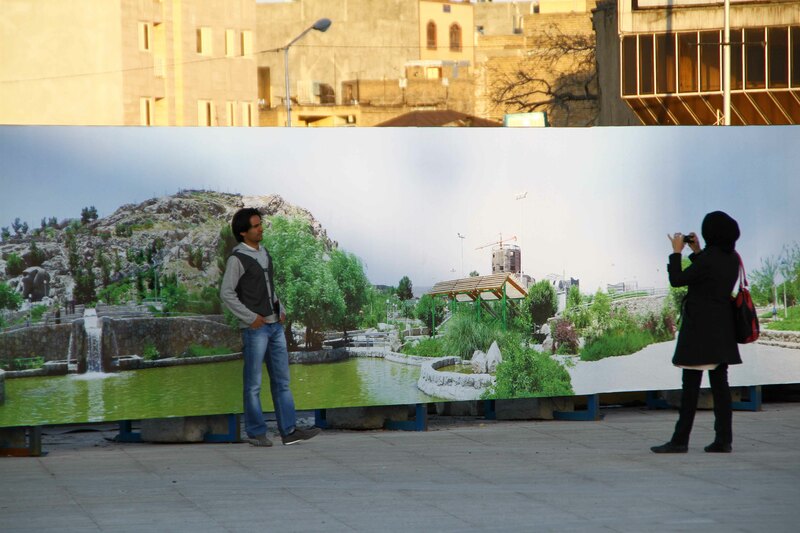 After 1 or 2 months of preproduction studies and designing 2D & 3D samples of the structures on where the photos should be hanged, the hardest part of the project just started: persuading Mashhad’s Municipality of performing the project! After almost 6 or 7 months of correspondence with Mashhad’s Municipality, I was managed to only get an oral positive answer for performing the project from the mayor of that time Mr. Mohammad Pezhman! But the financial budget of the project, which was estimated to be about 600.000.000 Rials (60 Million Tomans), was still a big burden and obstacle for realizing this idea. 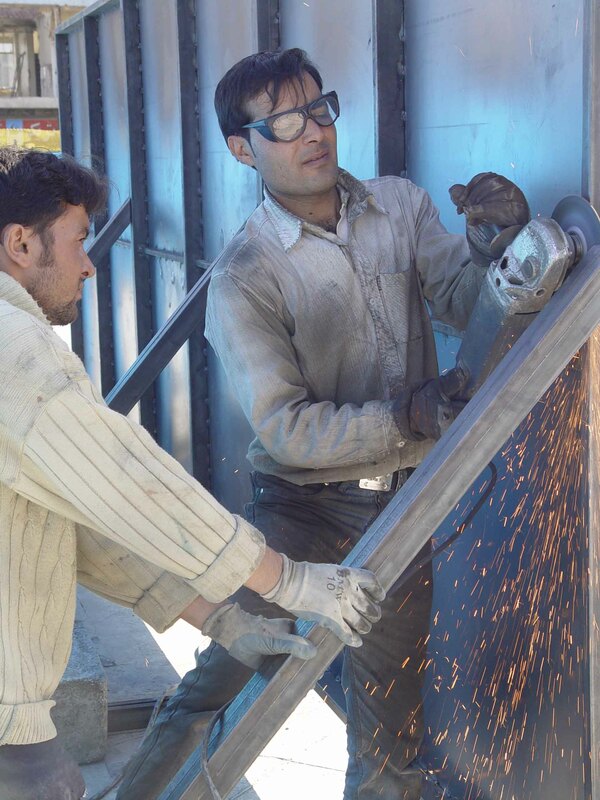 Fortunately, Mr. Mohammadirad consented to cover the total costs of producing and installing the iron structures. 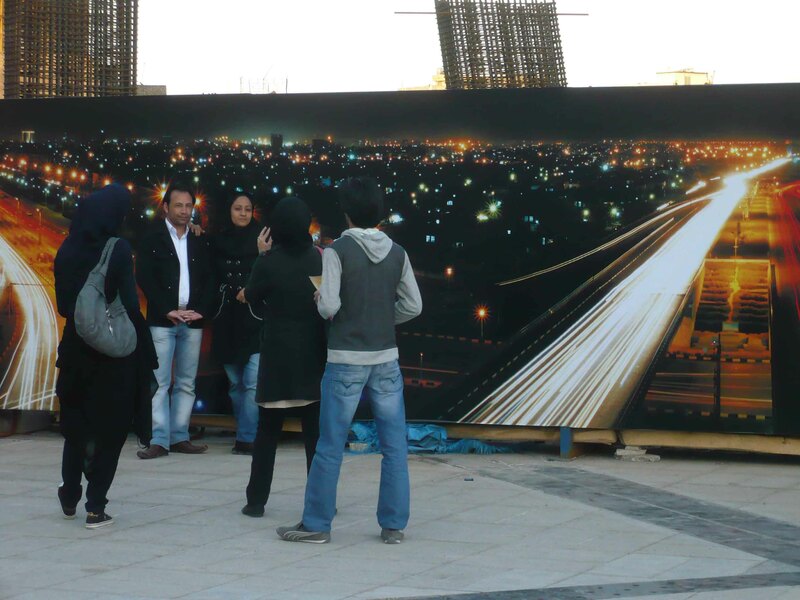 Besides, with the great help and support of my friend Mr. Amirhossein Behrouz, one of the members of public relation department of Mashhad’s Municipality, all the costs of printing banners were covered by that department in Mashhad’s Municipality. Moreover, the construction companies who were having a project on Shohada Square at that time were consented to sponsor the rest of the expenses including the workers’ wages. 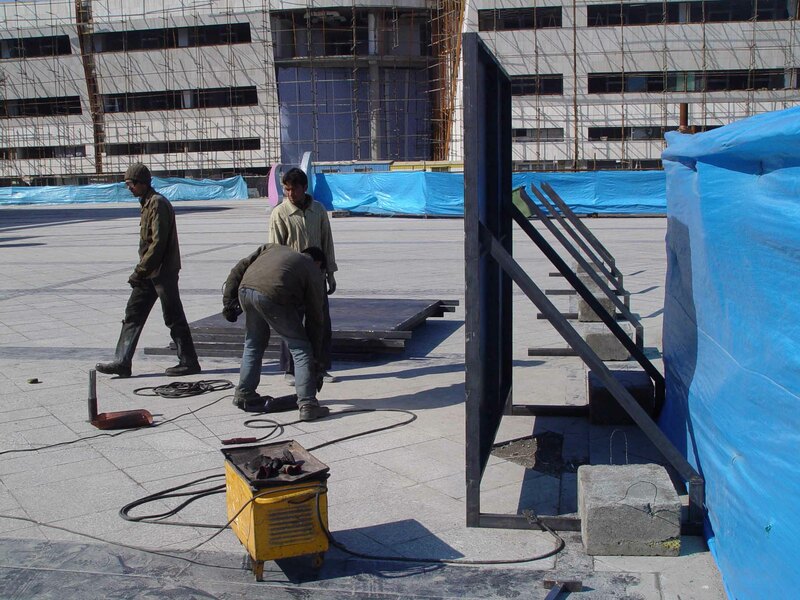 This big project officially started on 22nd February 2011 (only 26 days left to New Year!) 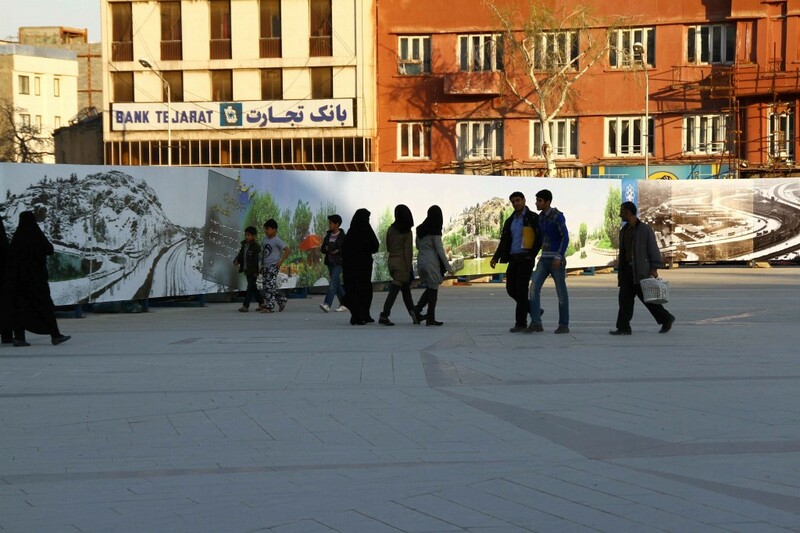 under only one condition that Shohada Square would be ready for spring and new year’s festival. 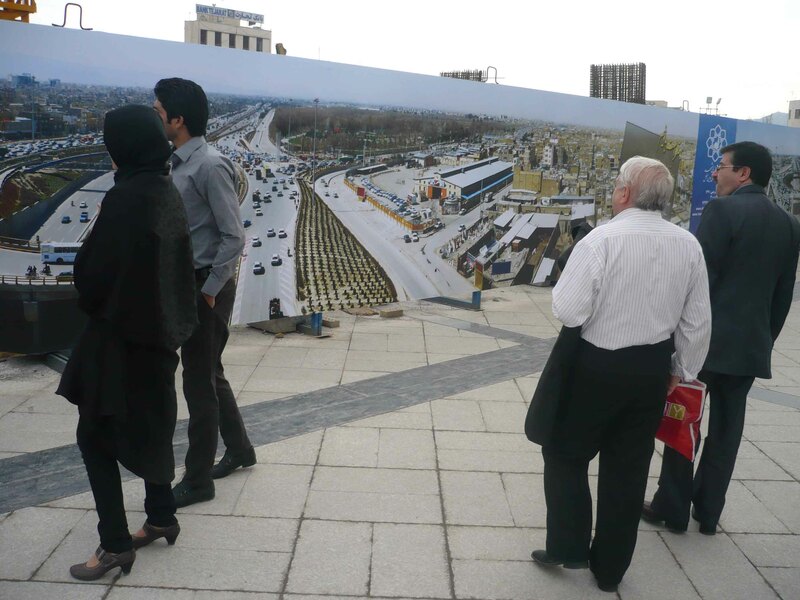 The photos which were printed on banners were all the outcome of almost 12 months of my photography from different parts of Mashhad by helicopter, from crane and mountains in different times and seasons. 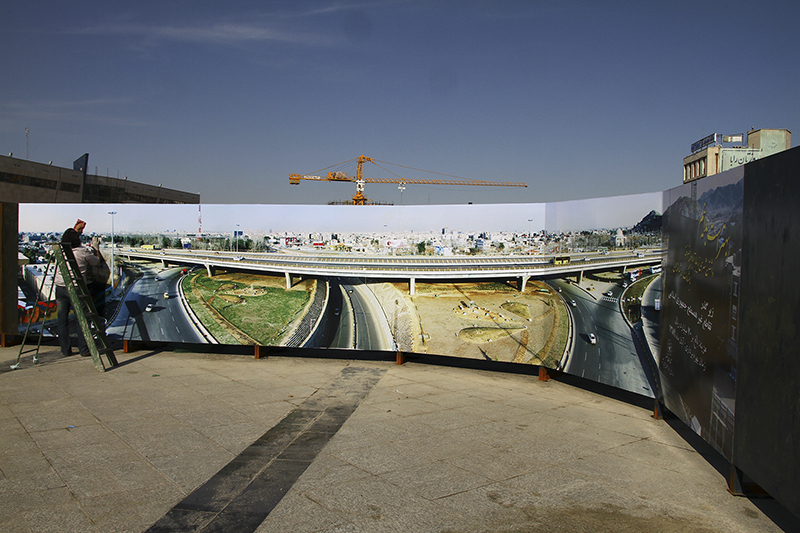 One of my biggest photos was 45 meters long and 2 meters high! 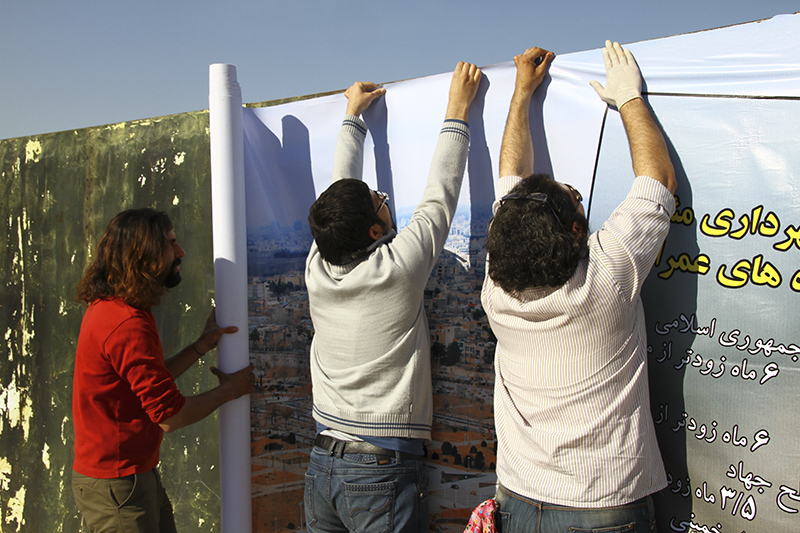 All the 365 meters banners were printed under my direct supervision night and day. 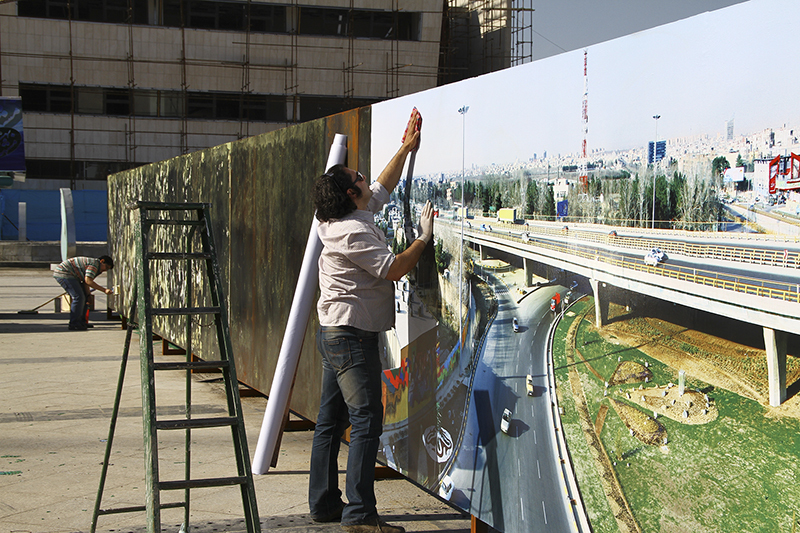 And simultaneously my brother, Amin Naderi, supervised the installation of the structures and hanging the photos on them incessantly. 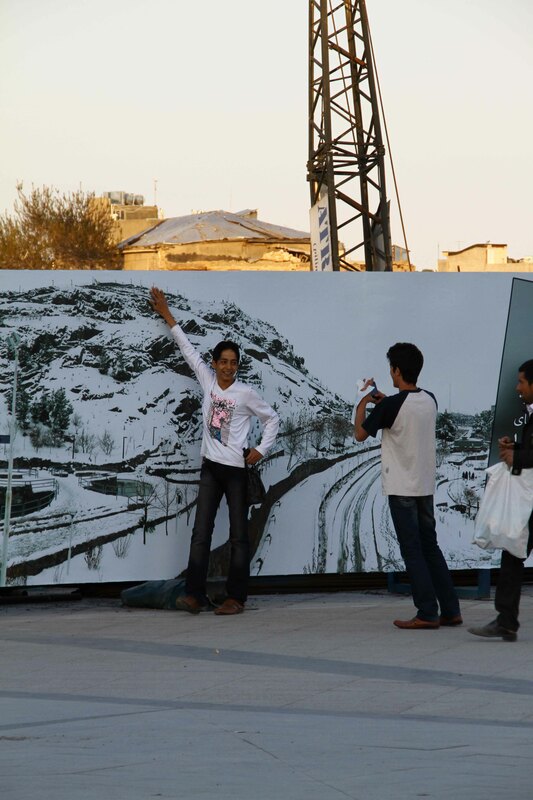 At last this great effort led to the first and biggest exhibition of panoramic urban photographs in Iran and it was inaugurated by the mayor of Mashhad, Mohammad Pezhman, and some other local authorities on 17th April 2011. Once again, team work, belief and efforts proved that human beings are capable of every piece of unbelievable great ever lasting work. This public exhibition which lasted for 6 months had been received well both by local people and pilgrims.